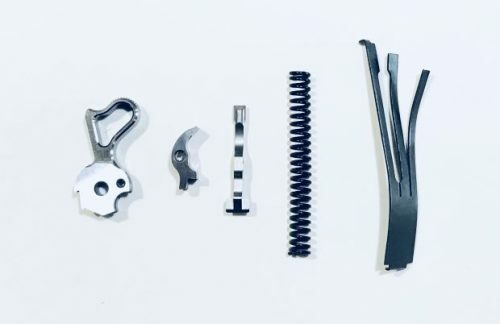 PRO MATCH ACTION KIT These hand-fitted precision adjusted kits include: hammer, sear, disconnect, hammer spring and sear spring. A professional 3-1/2 lb. trigger pull without the work. 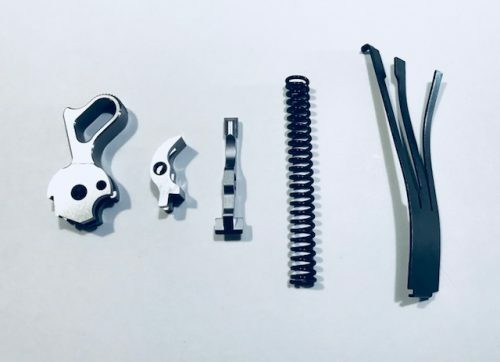 Ready to install parts put an ultra smooth, clean breaking, professional trigger job in your 1911 Auto in only minutes. 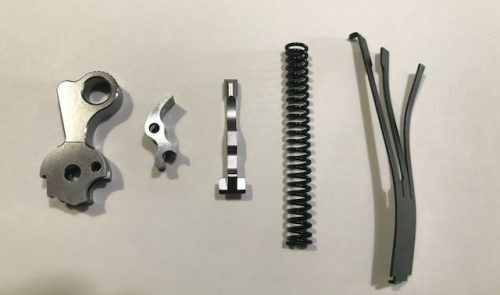 Fully prepared hammer and pre-ground and pre-polished sear, plus springs and disconnector will drop into most models of 1911 Autos with little or no fitting. Pro Action Kit features wire EDM'd hammer and sear that are double heat-treated then finished ground for outstanding durability. Guaranteed to hold up under heavy continuous use. SPECS: Stainless, Rc 50.